With the beginning of what is to be a continuing myriad of blogs post the blaring underlying question would seem to be “where to begin?”. The beginning point would seem to be an aspect of finance that not only affects the select few, but every individual. An overall encompassing topic that would applies to all people and every aspect of there financial lives. Whether welcomed or not credit scores and their implications on an individual’s borrowing capacity is a topic should be taught in some degree. The following is in direct relation to the Australian Credit System, some similarities may arise and align with foreign financial systems, but their practices I cannot speak on. A credit score is a numerical representation of the financial integrity of a borrowing entity. Every action a person takes, from applying for loans to late repayments on there phone bill affects the outcome of the credit score. This is what lenders consider when assessing how fit the borrower is for the requested finances. 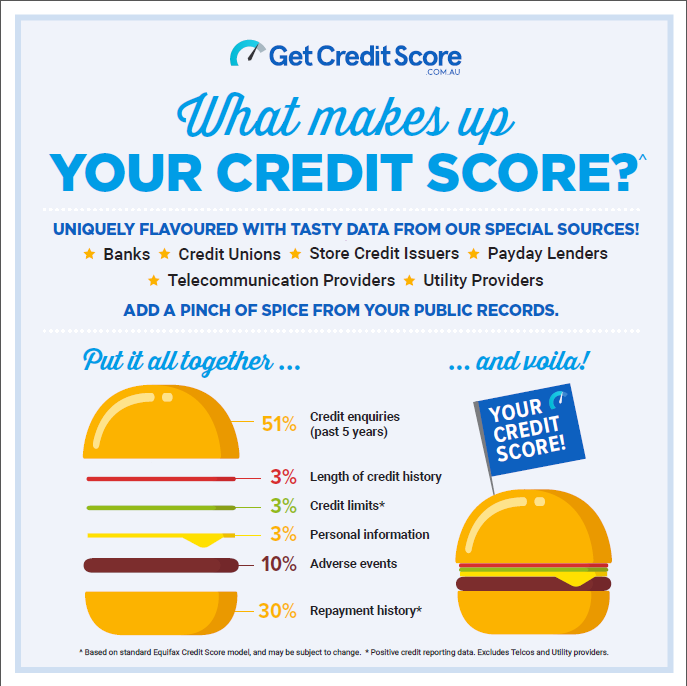 Scores are ranked within credit assessment agencies such as Equifax and Experian, with number ranging from 0 to 1,200, the higher score being the more desirable. The credit score function as an arbitrary way for lender to, at a glance assess a borrower’s ability to service debt. This score will have ongoing influences on what amount of finance is available, what interest rates, overall term of the loans, etc. With higher Scores the less risk adverse lender will be and vice versa. There are several avenues to take in order to find your own credit score. Arguably the simplest way would be to find a website that would do just that, though a national credit reporting body would be more trustworthy route to take. These can be found via an Australian Government Website like the one below. Preforming this is free and will not affect your credit score. The process to derive a credit score, is the cumulation of a multitude of factors. As said before anything from loan application to late phone repayments are considered. Credit enquiries of the previous 5 years, credit limits, personal information and adverse events all play a determining factor. All this information is sourced from financial institutions, credit unions, utility providers, all organization that you may have financial dealings with. Good financial practices are obvious steps in the right direction, paying bills on time etc. Every action know or unbeknownst will have a long lasting impact on their score. The literal act of even applying for finance let alone making repayments is a consideration for credit assessors, therefore careful person deliberation in what methods a person chooses to undertake is important. Source: Canstar: How to improve your credit rating. With this information, the logical conclusion would be that a person’s credit score will have long term, underlying effects on their financial life. So, a conscious effort to ensure that the score remains as high a value as possible is only beneficial for that individual. Hopefully the information provided is good starting point and provide enough intermediary knowledge to have satisfactory grounding in person credit scores.